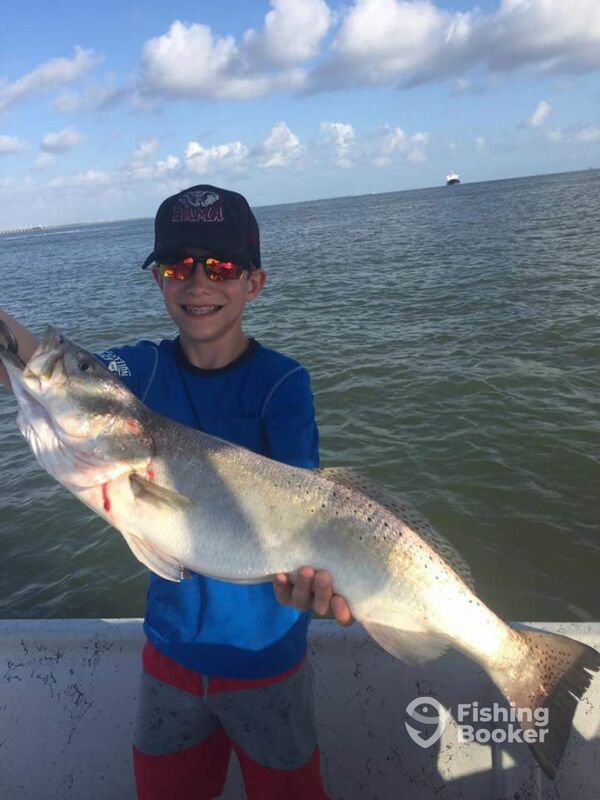 Wall Worthy Fishing Charters operates out of Galveston, TX, offering inshore adventures targeting a wide range of species. 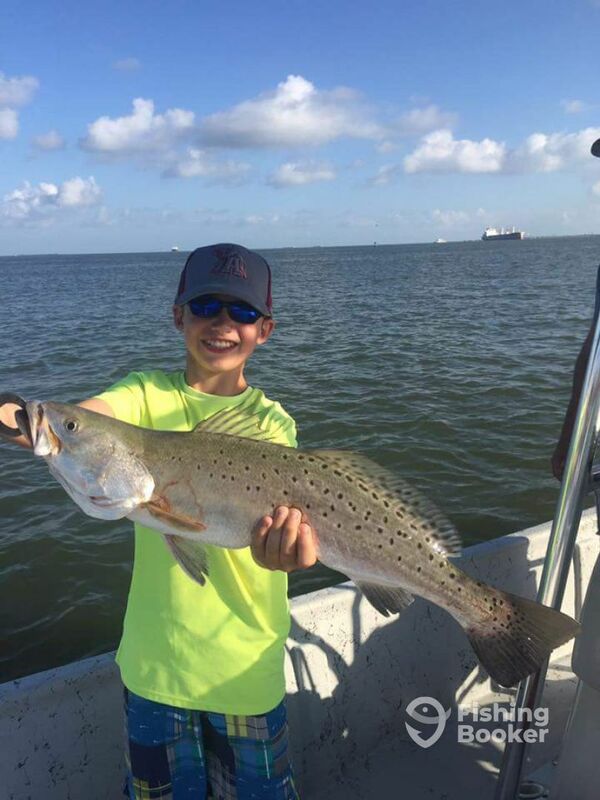 Explore the back bays and bayous, cruise the beachfront and jetties, or get up-close-and-personal with a wade fishing charter. 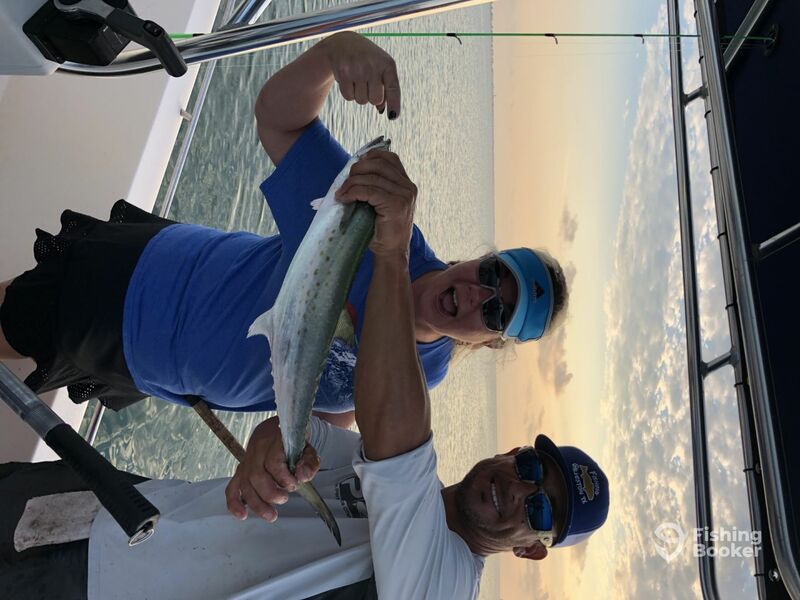 Whatever you do, you can trust in Captain Clint’s 35 years of experience to get you on big fish! 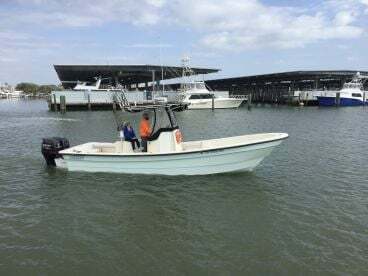 Spend your day aboard a 24’ Pathfinder center console, built in 2007 and well-maintained ever since. The vessel has room aboard for 5 guests and can hit speeds of around 40 knots to get you to the best fishing spots in no time. 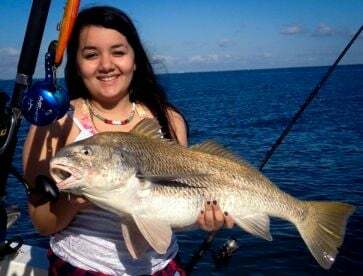 Depending on your trip, you could be fishing for Speckled Trout and Redfish in a few inches of water, battling bull Black Drum and tasty Sheepshead around the jetties, or heading out specifically to target monster Sharks. 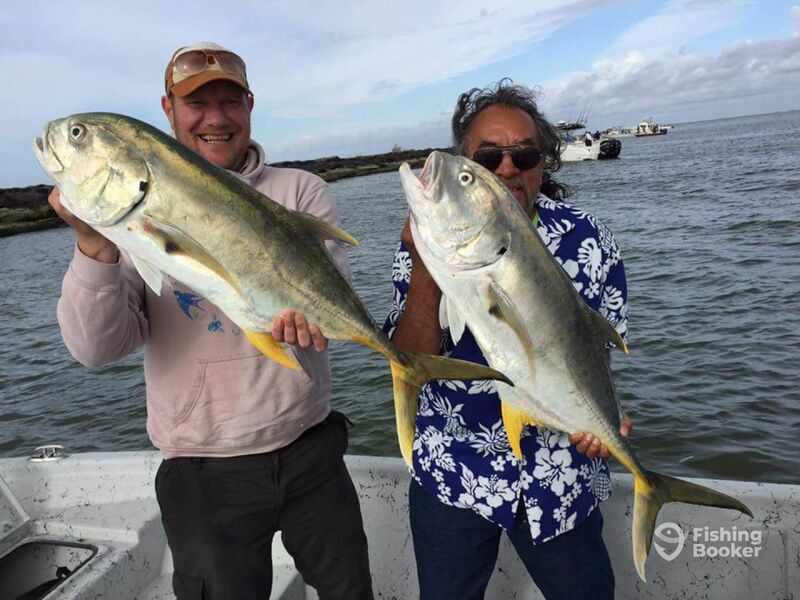 On fish & golf combo trips, you can even enjoy a great day both on the water and off, bagging some great fish, then heading off for 18 holes of golf - perfect! 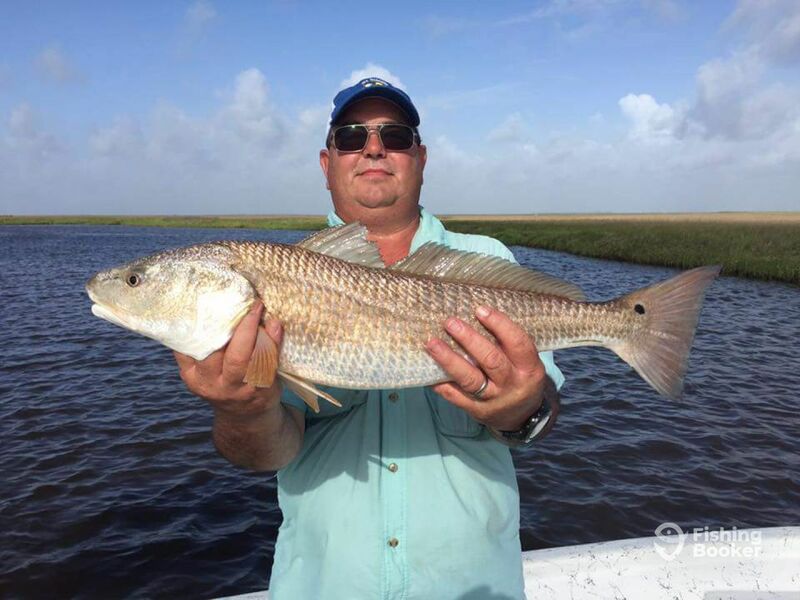 Whatever you do, Captain Clint will work with you to build the perfect fishing trip. 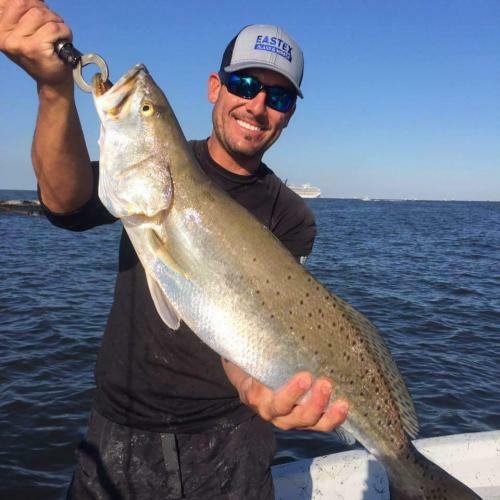 He has been fishing in the area all his life and loves showing anglers his native waters. He enjoys working with kids and showing them how to land that all-important first fish. If you’re an experienced angler, you can’t find better action than throwing lures on a wade charter. 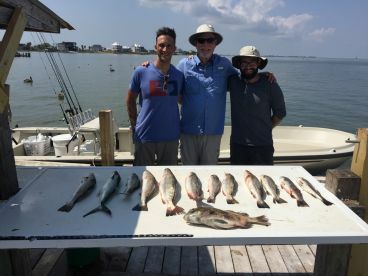 At the end of your trip, all your catch will be cleaned and filleted, ready to cook up when you get home or keep in the freezer for a rainy day. As if leaving with great memories and bragging rights wasn’t enough! This trip includes 3.5 hours of jetty or bay fishing followed by 18 holes of golf with Captain Clint at the beautiful Moody Gardens Golf Course in Galveston, TX. 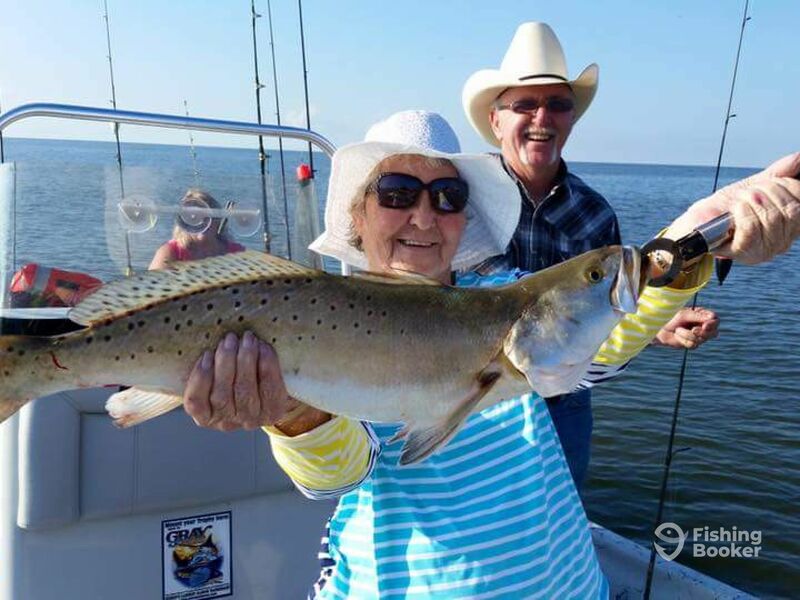 This trip is for a maximum of three people and is the ultimate way to enjoy your visit to Galveston. 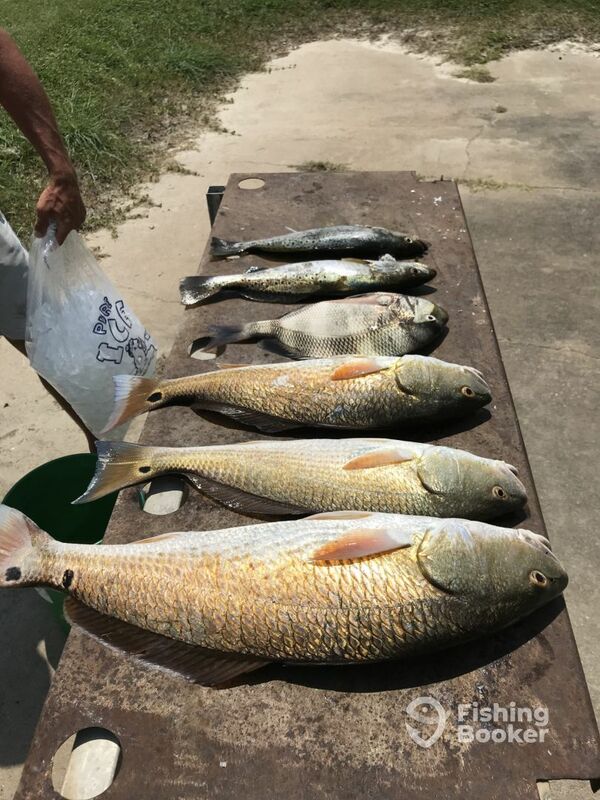 With the whole day on the water, you can enjoy the best of both worlds by fishing the jetties, beachfronts, back bays, and bayous - all in one day! 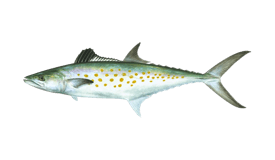 This trip will bring in the widest variest of catch possible, with every major inshore species on the day's hit list! 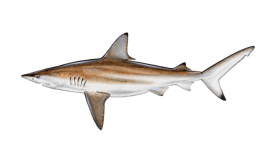 We will have no problem catching all of the 4-8 feet sharks you and your group can reel in! This is a very popular and fun trip. 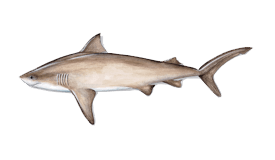 Sharks are always mean and a fun fish and the kiddos really enjoy seeing these beasts pulled to the surface. This jetty and Beachfront charter is the most popular trip booked. 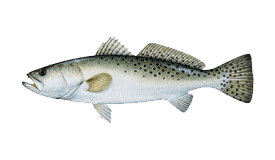 We will be targeting Speckled Trout, Redfish, and Flounder most of the time. There is some seasonal fishing at the jetties as well. 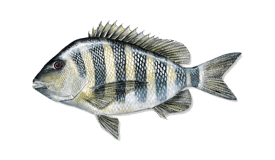 In the spring, we can target large numbers of Sheepshead during the spawn and get into some Bull Black Drum as well. Free-lining live Shrimp and Croaker against the rocks is one way we target these fish. Live Shrimp under a popping cork is another. 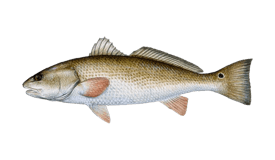 SPend the afternoon fishing along the Beachfront and around the jetty charter in search of Speckled Trout, Redfish, Flounder, and more. 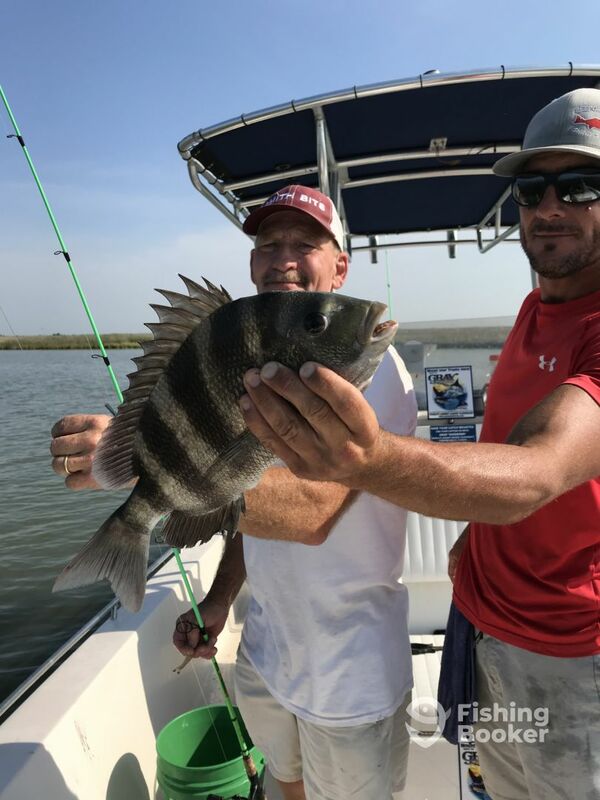 You can also find Sheepshead and monster Black Drum here in the spring. 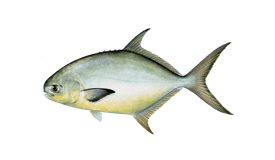 You will be using live bait, free-lining Shrimp or Croaker near the rocks or casting Shrimp under popping corks to bring in monster fish. Travel to some very scenic back bays and bayous that produce really nice fish. 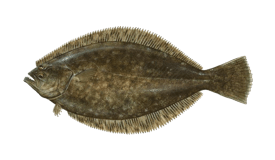 If the wind is blowing or you don't handle rough seas very well, this is the trip for you. This is a very popular trip if you plan on bringing the kiddos. 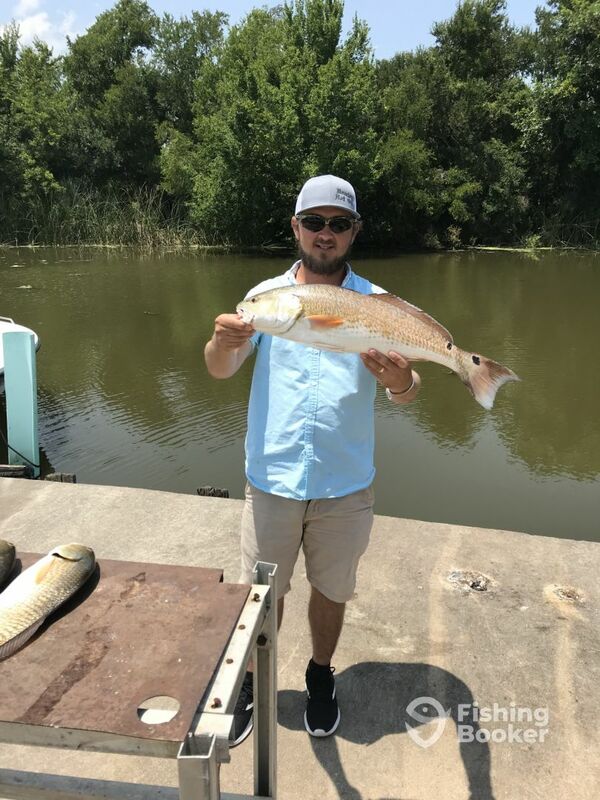 Spend the afternoon fishing the calm waters of the local back bays and bayous. This is a great trip for kids, those who suffer from seasickness, or anyone who wants to explore this beautiful backcountry! Pathfinder 24V (Center console) originally built in 2007. Powered by a 225HP Yamaha engine, with a maximum cruising speed of 40 knots. From the beginning, Captain Clint kept in touch and kept me informed. When we arrived at the designated launch, the boat was already tied to the dock fueled, bait on board, and ready to go. The boat was spotless and organized. First spot, first cast, keeper trout. Next spot was incredible. 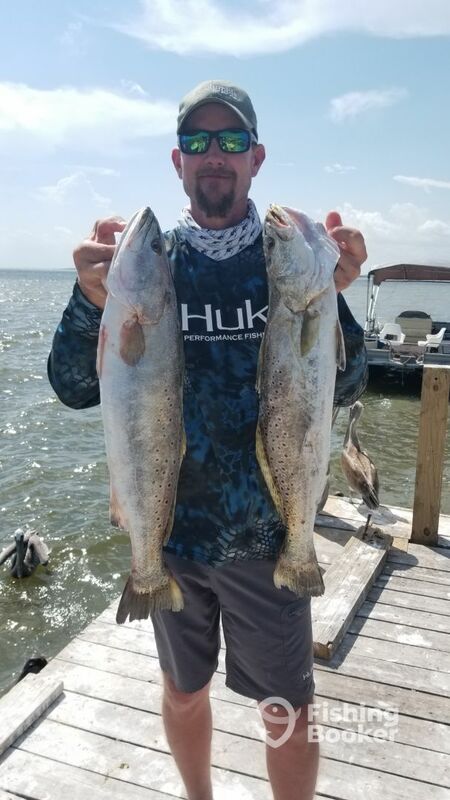 We caught 2 limits of quality trout in no time. Besides the fishing, Captain Clint proved to be very personable and an all around great guy. He also worked his tail off keeping lines baited, unhooking fish, etc.. I will definitely book with him again. Hey Brian, It was an absolute pleasure running you and your Father N Law! I look forward to seeing you guys again! 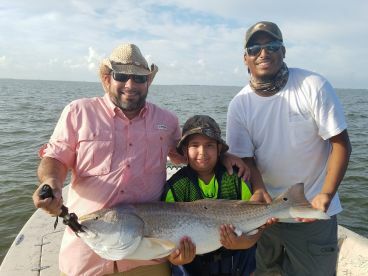 Hopefully the redfish will cooperate next time! 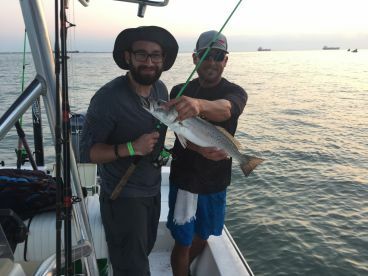 Best fishing experience I’ve ever had! We caught a lot of fish. So much fun! Captain Clint was very professional and a super nice guy. He was all about taking care of everything for us. My husband, myself and another friend with us kept him extremely busy. He was all over that boat taking care of us! Hope to use Clint again very soon! Captain Clint did a great job of listening to my requests and accommodating my wife and child. 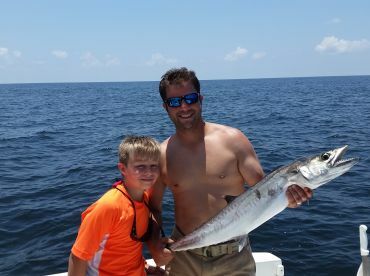 He even helped my son catch a shark even though that’s not Captain Clint’s favorite thing to do. I would recommend Captain Clint to any of my friends. Awesome day and great fishing! 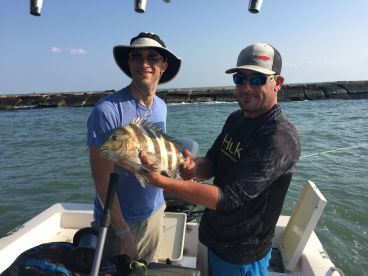 Capt Clint knows his stuff and we get you on the fish. 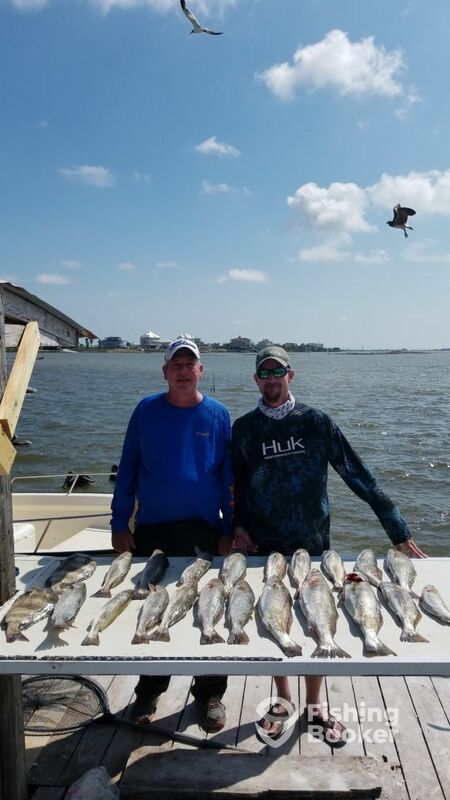 We had a great day and i would do this trip again next time I am back in Galveston. 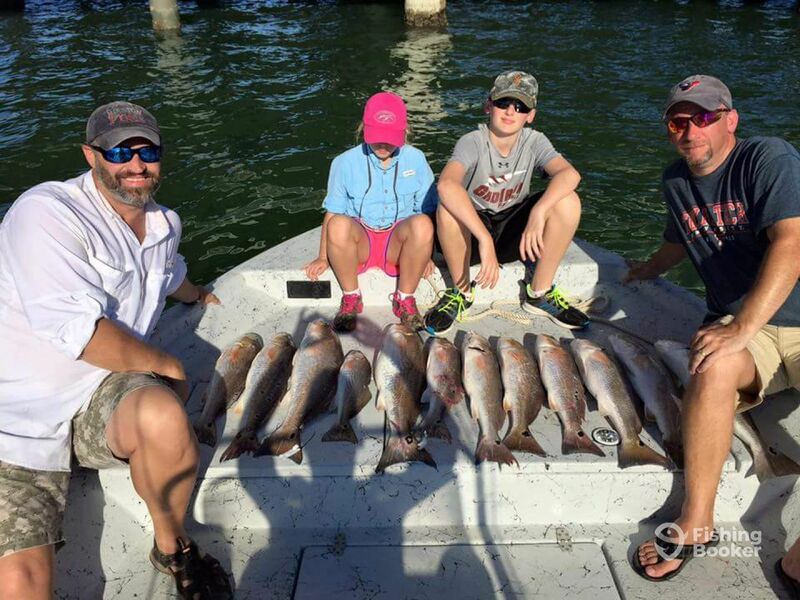 We caught a lot of speckled trout and a large sheepshead. Trip was awesome. Clint was a great guide and put us on the fish instantly. Caught a lot of short fish but not his fault. We were on fish the whole time. Would recommend this trip for anyone. Thanks again Eric and Van! I enjoyed it! Hope to see you giys again one day!